Back when I started technical writing, back when workstations were coal-fired and mean leads wouldn’t buy you a printed dictionary or a new coal scuttle, there was such a thing as WinHelp. It was the alternative to the printed user manual, the static, dog-eared brick that might hold the answer to your problem, if it didn’t first put you into a coma. WinHelp was hardly the first online documentation. That honor goes to UNIX and its man or manual pages, first introduced in the early 1970’s. Apple also produced the highly linked program HyperCard, which was the first widely available multimedia program. The cards offered graphics, text, and even sound, and were included in a virtual stack that could be searched. They straddled the space between client-based and web-based learning programs. HyperCard evolved in parallel to the Web or HTML pages. Indeed, the next innovation in help was Microsoft Compiled HTML Help, HTML pages that could be rolled up into fishy-sounding files called CHMs (“chums”) and built into the software installer. 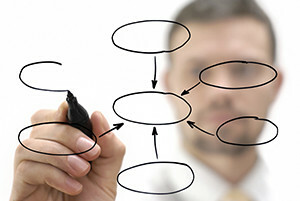 From the beginning, Winshuttle products used CHMs as one of the main formats for sharing documentation. 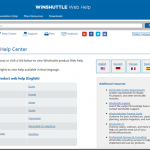 But, as of Winshuttle version 10.4, Winshuttle help takes the next step to deliver documentation in web-help format. Web-help HTML pages display easily on most common browsers and provide an easy-to-read table of contents and index. 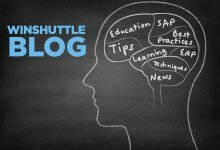 They offer extended search capabilities, the ability to easily send pages to others, and a button on every page that lets users send improvement suggestions to the Winshuttle documentation team. What’s next in the evolution of online help? What are your ideas?